This is a spectacular cigar that I chose for my first cigar at Ryan’s House of Herf this evening. 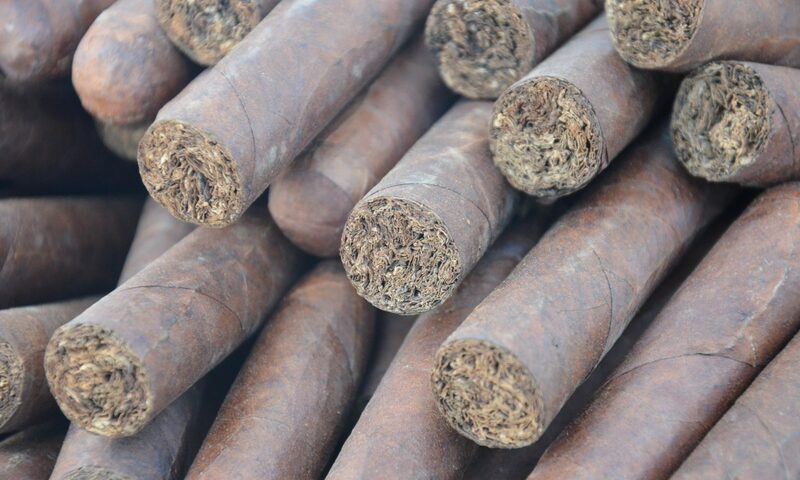 It is a medium to full strength cigar, spicy, and very tasty. As I am partial to Maduro cigars, I was happy when Habanos started producing more of them. The Cohiba Maduro 5 is probably my favourite production cigar on the market. A couple of years ago I was introduced to the Partagas Maduro No. 1, and I have loved them every time I have smoked one. I picked these up in a recent trade with Gilbert ‘Glutes’ Lutes, and when I opened my traveling humidor (the Nuclear Football) this evening, I was definitely drawn to it. It lights beautifully and smokes perfectly. I can always tell when a cigar has been properly stored and maintained. This one is a 2016 stick from a box I brought from Cuba for Glutes last year. I regretted letting them go, but that is how things are. When I had the chance to grab a few of them back in a recent trade, I jumped at it. Like most Cubans, it has a wonderful draw, and is a real pleasure to smoke. With a 52 ring gauge, 5 1/8″ length, it is spicy and delicious. When retro-haling it has a tingle in my nostrils, and is a perfect after-dinner cigar to follow a good steak. Pick up a box or just a few individuals, you will not regret it. At the LCDH in Cuba you will pay cuc8.10 per cigar, or the box of 25 (they do not come in smaller boxes yet) for cuc202.50, making it a great value if you are on the island. In Canada? Yeah they are much more expensive, and would be a luxury occasional treat. On this cold early spring evening, it is a real pleasure and is warming me from the inside, paired with a beautiful Lagavulin 16 year old single malt whisky. The spices of the cigar truly complement the peaty flavours of my favourite Islay malt! Next PostNext Smoking with the boys!